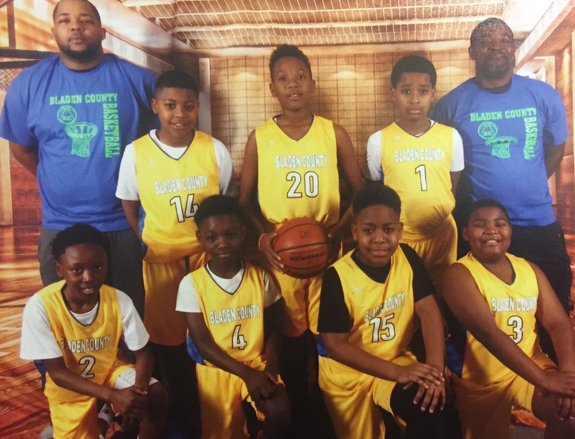 The Warriors finished fifth in Bladen Recreation’s 10-12 Boys Basketball League with 2-4 league record and 4-7 overall record. Team members are: Front Row (Left-Right): Jaquan Lesane, Tavion Smith, Ahmarie White, Omarion Brown. Standing (L-R): Coach Joseph Gore, Tylik McCall, Kendell Lesane, Chrishon Mapp, Coach Earl Brown.